You want what a lot of men or women want; you want to build muscle and want to know how to become stronger. Whether it’s because you want to get in shape for summer, because you like a challenge, or because you have always wanted to do weight training, you want to see a change in your body and you want it now. What strength training is about is commitment. There is absolutely no way that you will get lean and clean or strong and buff simply by twiddling your thumbs. While this is no “Strength Training For Dummies” book, it should be mentioned that if you want results, you will definitely have to work for it. Getting stronger is easier than you think. Most people think of an abundance of protein shakes, hours in the gym, and even steroids. While all these things may work for some people, strength training is not always about spending every waking hour working out or only focusing on tons of supplements and shakes. How do I get stronger? This is the question of the ages. If there was a magical pill to muscle strength, undoubtedly the majority of people in the world would take it. Everyone wants to be stronger and look stronger. How can someone-in the real world-get strong fast? How Do I Want To Get Stronger? 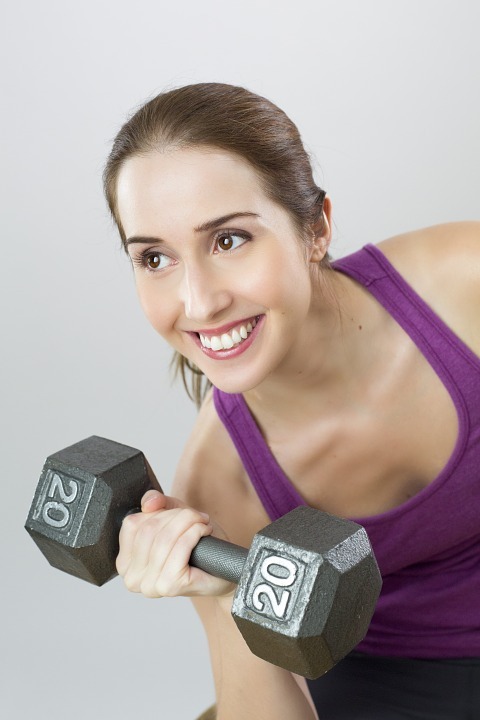 What Is Strength Training and Why Do I Want To Do It? How Can I Do Muscle Building to Look Like Arnold Schwarzenegger? What Does A Strength Training Workout Routine Look Like? What Do I Need To Get Strong? How Can I Get Strong Fast? Can I Get Hurt Lifting Weights? Do I Need A Trainer To Help Me Get Stronger? First of all, set goals. What is your ideal body weight and what is the level you are reaching for? Do you just want to be toned or are you thinking of competing in a bodybuilding competition? The goals you have in place will determine your workout regimen. Do you want to build endurance for your sport? Are you looking to feel and be stronger overall? Are you thinking about building up muscle mass to look better? While each to goal is going to bring you results, each goal requires different sets and repetitions. Once you know what you are shooting for in your muscle and strength goals, then you can set out discovering how to get the desired results. Do you practice a sport? Do you want to do weight lifting to build endurance so you can go further and play harder? Strength training for relative strength can help you to gain strength without gaining too much muscle that could hinder your agility. Whether you do gymnastics, play soccer, or practice rock climbing, a relative level of strength can enhance your efforts. This kind of strength training requires less calories and more cardio. How does one go about strength training? There are varying methods and strength training routines used in strength training that can all potentially help you get buff and big in a relatively short amount of time. You can go for weight lifting where you can primarily use barbells in squats, overheads, dead lifts, etc. There is also a method where you use your own body weight, such as push ups and pull ups. Another way to do strength training is by using machines at a gym or park. The thing about machines is that you have to know what you are doing. You’ve most likely seen the meme with the guy who is trying to do leg lifts backwards on a machine; well, you probably won’t see much progress if you are using machines without knowing what you are doing. Ask for help or attempt another strength training technique. So you want to look pumped up, full of manly strength and testosterone? Okay, it is possible, but it will take patience on your part. Especially, if you have never trained before. How do you go about building up until you are the man that everyone wants to be and that every woman wants? If you are just starting out with weight lifting, you will want to start with relative strength training and ease your way into heavy lifting for absolute strength training. You can’t expect to pick up the heavy “boys” from day one if you have never lifted wholesale NFL jerseys before. If you have lifted before, but you have been out of the gym for a bit, it won’t take you too long to get back int he swing of things. Start off with light weights and more repetitions. If you are a beginner, your body will need time to adjust to lifting. Change your diet to suit your goals. Eating high protein meals and taking supplements will help you to see results. If you are a beginner, you may start off with 5 sets of 5 reps, depending on your personal trainer or workout plan. As time goes on and your body starts to shape up and you find yourself getting stronger, you will want to start lifting heavier weights to the point of hypertrophy. This is what you are shooting for in training as when this happens it means that you are getting stronger and the muscles are getting bigger. If you are looking to get big and buff from strength training, it is important to remember that you want to keep the weights light and do higher repetitions. Not only will this give you the size and muscle mass that you are searching for, but you will be getting stronger in the long run. It is a win-win situation if you are going for absolute strength training. What this routine is doing is providing the body with time for recovery. The only way your body is going to need recovery is if you are pushing it and giving it all you got on the days that you do weight-lifting. For people who are looking for simple muscle definition or toning, this isn’t the workout for you. Remember you want to keep working throughout the routine and not let your muscles rest during your workout. They will have plenty of time to recover later on in the week, but what you want during your weight lifting time is for them to get stressed. In the muscle stress is where muscle growth happens. To answer that question, think on this word: willpower. First and foremost, you won’t be making any “gainz” if you don’t start your training with a full-fledged desire to see results. There is just no use to even setting foot in the gym or buying weights for your home. Getting strong faster than what is natural is not a good idea. Body building takes time and with good reason. Your body and muscles need time to work, to heal, and to grow. Pushing your strength limit before preparing your body is only going to cause injury cheap jerseys and you won’t get the results you are looking for. What you can do to see quick results, say in time for summer, or for vacation in a couple of months, is to train regularly, eat well, and push yourself within reason. That could mean doing more on a daily basis then what you thought you could and putting more energy into your routines. If you are eating well, you should see results more quickly then if you continue to eat as if you weren’t trying to achieve that top model body that you so desperately desire. As with any sport or exercise, there is a small level of risk involved for anyone who doesn’t know Alptraum what they are doing or who isn’t prepared correctly. In weight training, there are a couple of things to remember to avoid injury. If you are a beginner, do not try to lift heavy weights until your body is ready for it. What can happen to someone who has never lifted heavy before is that you can pull tendons Test or ligaments, causing some serious damage that could even effect future weight lifting. Hernias are also an effect of lifting weight that your body isn’t ready for and they are no fun either. Don’t worry, macho man, you’ll be able to flaunt your ability soon enough. Take some time to get there first and your body will thank you. While lifting barbells, only do exercises that you are comfortable with. Don’t go trying to show off to that hottie that walked through the door by doing a lift that you have never done before with heavy weight that you have never lifted. Believe me, you will be looking a tad foolish and not so amazing. There have been numerous accidents at gyms due to people trying a little hard. Lost fingers, dislocated shoulders, and worse are just some of the accidents that have been known to happen due to people either not taking training seriously, lifting in a way they don’t know how, lifting too much weight, or simply attempting something they do not know how to do yet. Be smart and be safe. If you don’t know what you are doing, don’t be shy and go ahead and ask someone for help. While you can do your own research online and figure out the right techniques and routines for you, there is nothing like someone who is experienced in fitness and weight-lifting to teach you how. Some people prefer to do it on their own and do achieve good results, but it is highly suggested for those who want to do absolute strength training to have a certified trainer to provide them with quality advice and tips for optimal results. It is always good to have a spotter when lifting weights and a trainer can ensure that you have that, plus someone who can show you how to get it done right. It may be true that trainers can be a bit costly, but if you can afford it, it may be just another great step in achieving your weight lifting goals. Yes, without a doubt, you can become stronger. The first step to take in getting stronger is to determine what your end goal is. You don’t want to start strength training to build massive muscle, only to realize later that you actually want to train and lift to become stronger and more agile for sports. Once you decide what your end goal is, then you can choose which route to take. Do you want to do calisthenics which requires no machinery or weights, but just your body weight? wholesale nfl jerseys If so, then investing weights would make no sense. If you want to buff up through weight lifting and become the strongest you can be, then you have your work set out in front of you in learning how to lift barbells, do squats, over heads, and more. If you want to reach your desired results through using machines, take time to understand how they work, what parts of the body they are for, and how many reps and sets you should do to achieve the strength that you want. Don’t forget to eat well, take your supplements, rest, and be safe. Have fun building your body the way you want it to be! Anything is possible! site accidentally, and I am stunned why this twist of fate didn’t took place in advance!